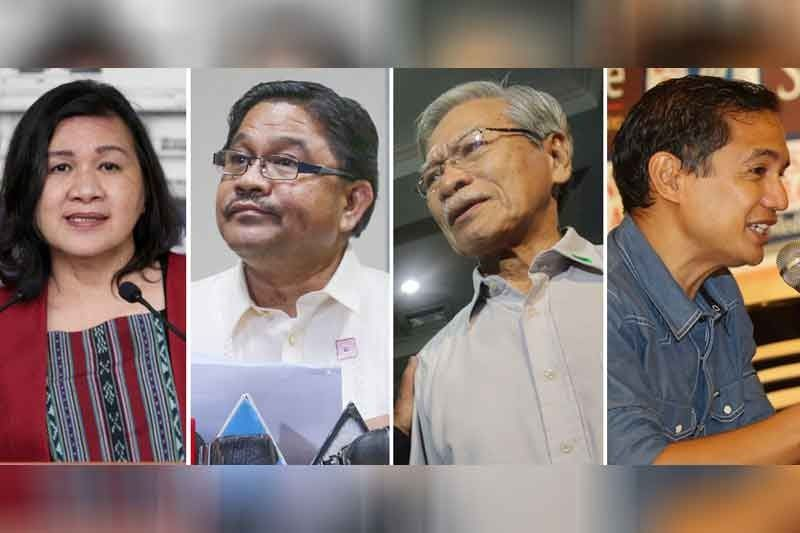 Four former party-list lawmakers have been arrested for murder charges filed against them in 2006. The warrants were allegedly issued against former Reps. Satur Ocampo and Teddy Casiño (Bayan Muna), National Anti-Poverty Commission Secretary Liza Maza and former Agrarian Reform Secretary Rafael Mariano. The alleged victims of abduction and murder in which these lawmakers allegedly participated in are those of Danilo Felipe in 2001, Jimmy Peralta, in 2003 and Carlito Bayudang in 2004. The victims are said to be supporters of the lawmakers' rival party-list, Akbayan. The warrants against them were issued by the regional trial court of Palayan, Nueva Ecija. "Yes. Nagulat din kami," lawyer Neri Colmenares, chair of Bayan Muna and Makabayan, said in a text message to confirm the issuance of the warrants. Colmenares said that to answer the media, a press conference will be held on Friday afternoon. Meanwhile Judge Evelyn Turla ordered the cse remanded to the Office of the Provincial Prosecutor, as there allegedly was a lack of a proper conducting of a preliminary investigation, a right of all the accused. "From the gathering of evidence until the termination of the preliminary investigation, it appears that the state prosecutors were overly-eager to file the case and to secure a warrant of arrest of [petitioners] without bail and their consequent detention," she said. The defendants sought relief from the Supreme Court for claiming that the cases should be dismissed if the courts did not find probable cause, which was granted by the SC, deeming the cases being sent back to the prosecutor "improper". "Regardless of Judge Turla's assessment on the conduct of the preliminary investigation, it was incumbent upon her to determine the existence of probable cause against the accused after a personal evaluation of the prosecutors' report and the supporting documents," the SC said. Anakbayan UP Diliman issued a statement on the matter, claiming that the warrants were part of the Duterte administration's crackdown against activists and ordinary citizens. The warrants were issued days after former President Gloria Arroyo, who was president when the cases were filed, became House Speaker. Ocampo, Casiño, Maza and Mariano, along with former Rep. Joel Virador (Bayan Muna), were known as the "Batasan Five" in 2006 for seeking refuge at the House of Representatives amid separate rebellion charges against them.They then claimed parliamentary immunity and hid in Batasang Pambansa to escape from the government's crackdown subsequent to a coup attempt.